Organic vegetables at Time Market. I've been wedding accessory shopping. Who the hell knew - even for a small ceremony - that there's so much to do? So many details?! If it weren't for my friend Marlaina, I'd have forgotten half the stuff I need. Like flowers. After drowning in Pinterest for days, I finally went to the florist. Wedding bouquets are $150 to $200. For basic bouquets, nothing fancy. The type I wanted is $150. Just roses, hydrangea, and some green sprigs of something or other. I've gotten pretty practical over the years and right now I'm thinking, "Do I really need $200 worth of flowers to carry around for an hour?" 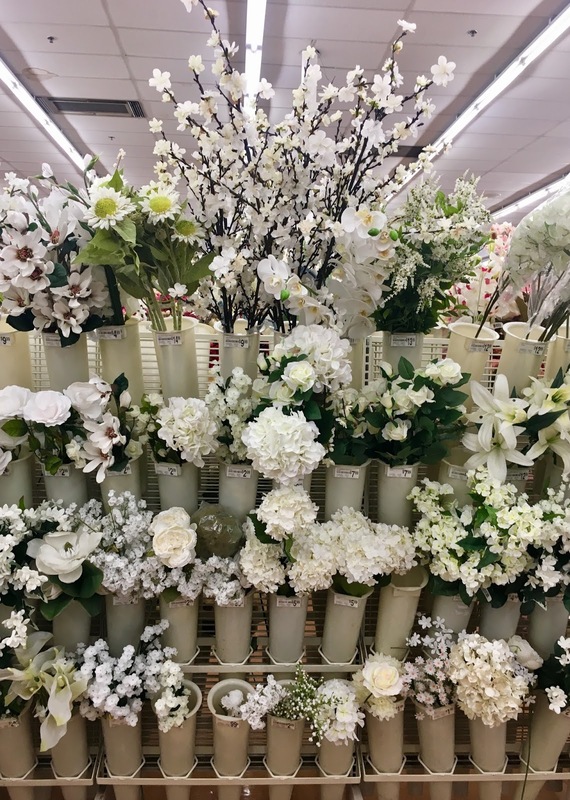 Then I got all DIY-minded and went to look at silk flowers. Much more affordable, and I can probably put them in a vase to use somewhere in the house later on. Will anyone be able to tell the difference in photos? I can pretend to be smelling them. Maybe that'll fake people out. There's still time. If I want real ones - and they are beautiful - I can order as late as three weeks before the wedding. 2015: Last Night Was Super! 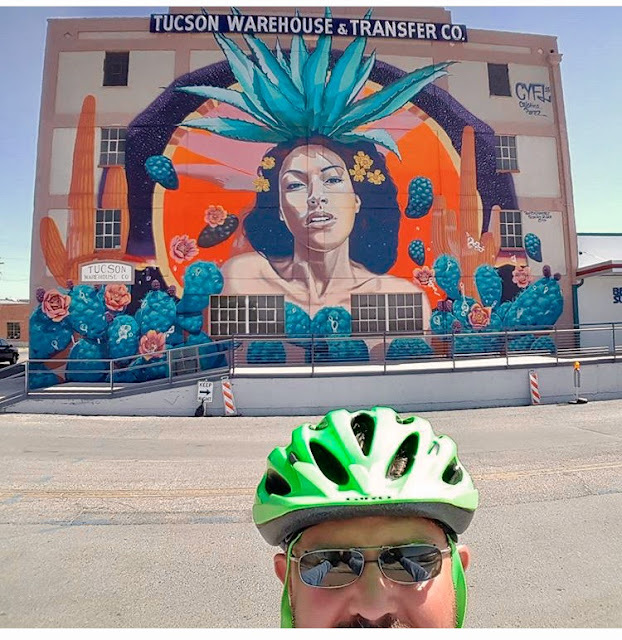 Ed took this photo of the "Goddess of Agave" mural while he was biking with friends in downtown Tucson. 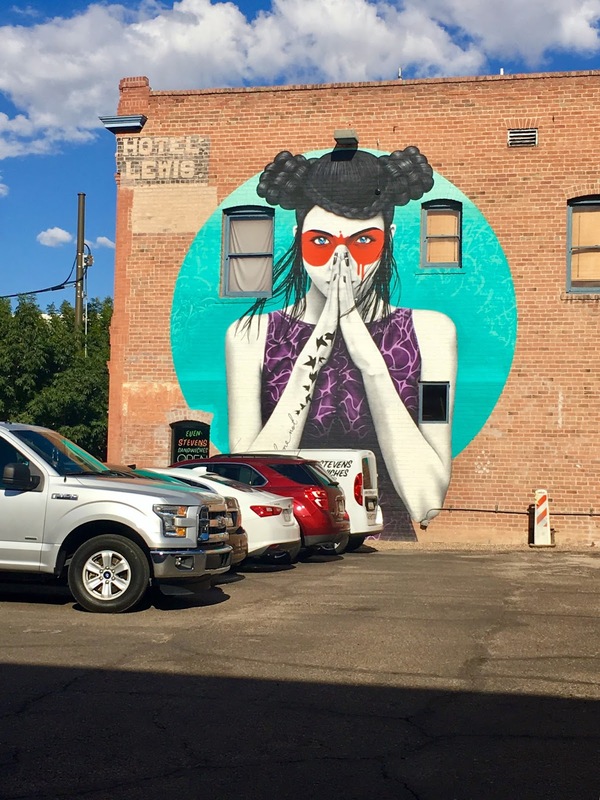 The mural, painted by Rock Martinez, used a photo of his girlfriend Brandi Watkins as the model for the goddess. Today is my brother's birthday. He's one year younger than I am. 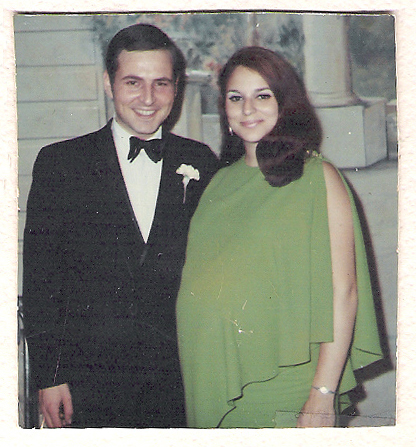 In this photo of my mother and father, taken in 1968, my mother is pregnant with Michael. He was born four days after this photo was taken. 2013: We Are Family! I Got My Brother And Me! I think I may have found the place for my wedding ceremony. 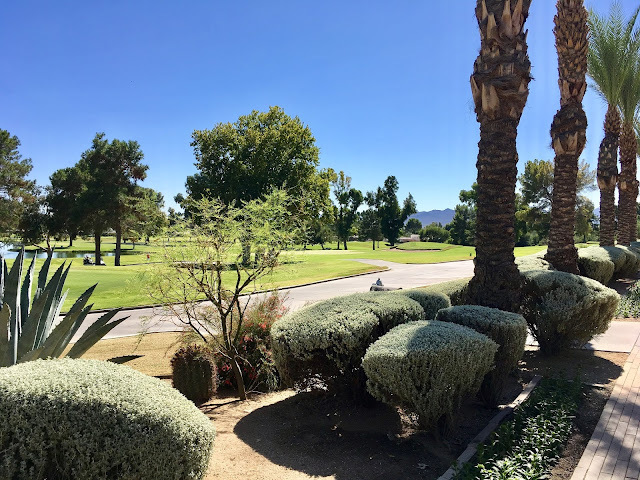 If all goes as planned, we'll be getting married amidst the palm trees and overlooking a golf course. 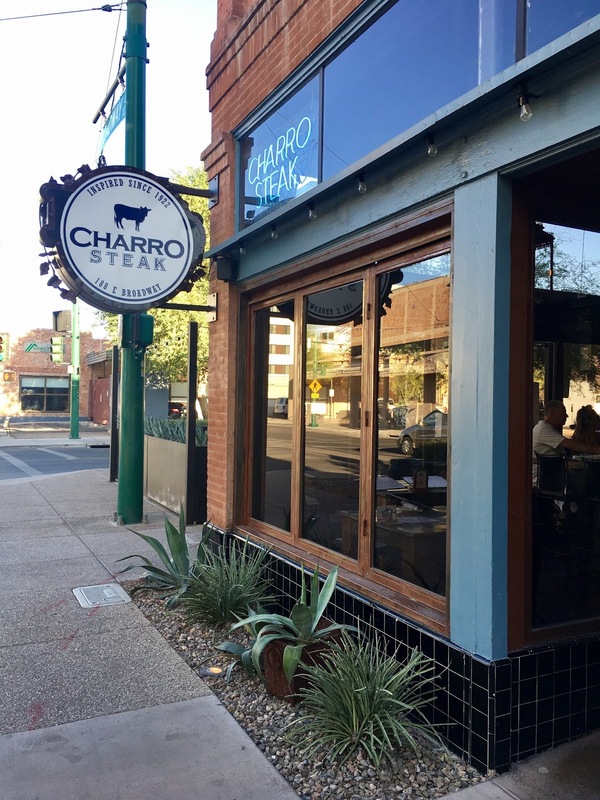 Last night we went to Charro Steak to celebrate my birthday. 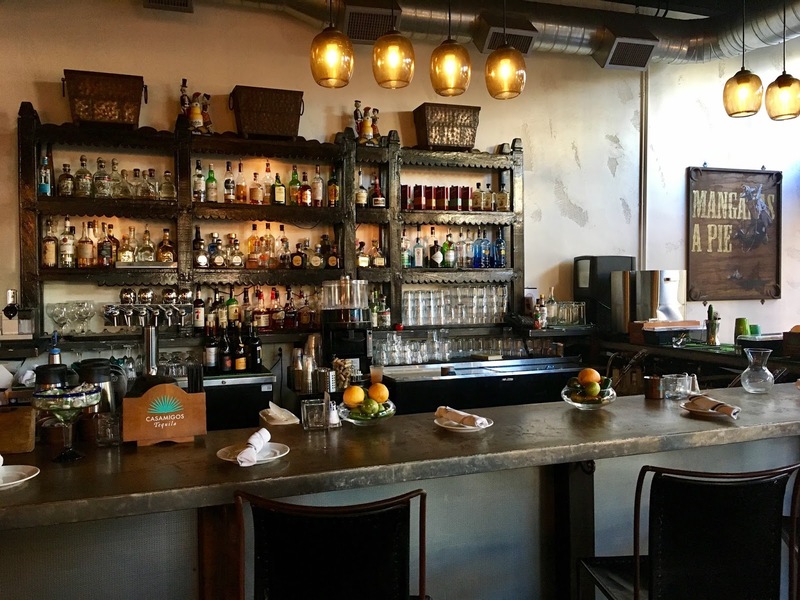 The owners have a restaurant history in this town. They've been in Tucson since 1922, their success being passed down through generations. It's a pretty good story. 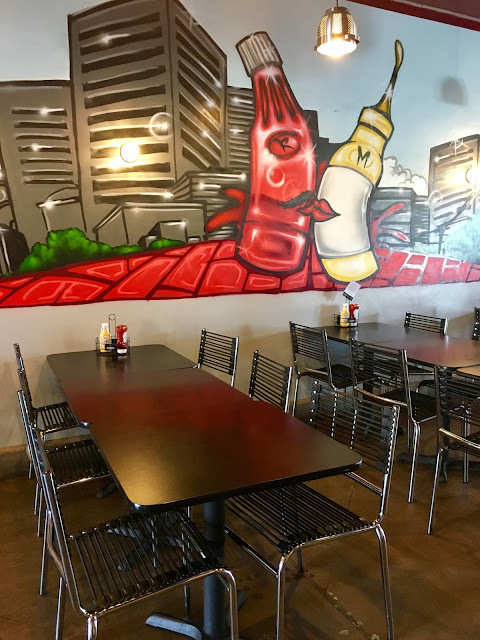 In addition to this new steakhouse, they have several other places in town - Sir Veza's, The Stillwell House, and El Charro, the Mexican restaurant we hit often because it's two minutes from our house. 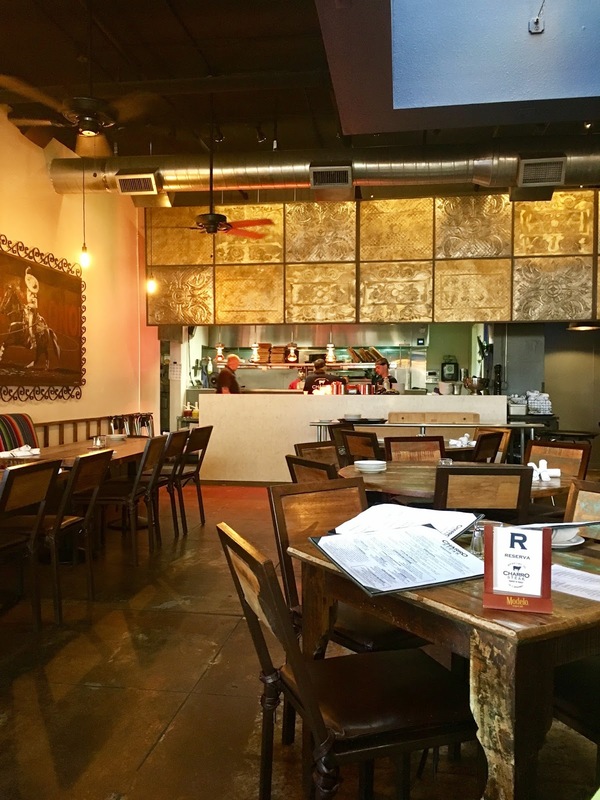 The restaurant is located in downtown Tucson, a place I avoid at all costs because I hate the parking situation. But since we arrived for an early dinner, we got a spot right away. I was looking forward to the meal. I really liked the restaurant decor. Southwestern, but in a cowboy way. 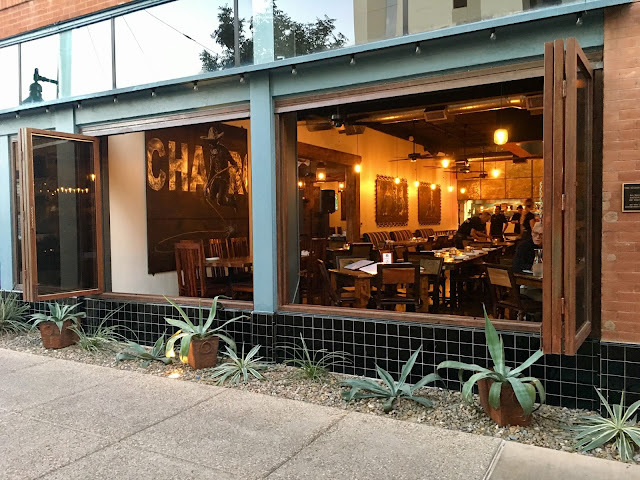 Charro takes its name from the traditional horsemen of Mexico, who are "steeped in chivalry, high ethics, expert horsemanship, and dedication to family and tradition". Steak is always a favorite for our family so we were looking forward to our meals. 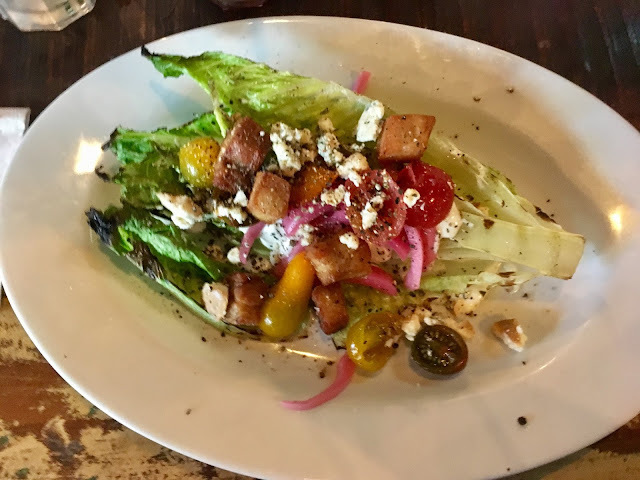 For dinner, Ed had the 16-ounce Tucson's Favorite T-Bone ($31.95), my mother had the 10-ounce All Natural Carne Asada ($22.95), my friend Kim had the 8-ounce Charro Burger, and I had 14-ounce Boneless Rib Eye ($35.95) pictured below. For sides, we ordered Papas de la Casa (thinly sliced potato, crema, chiles mixta), the ¡El Camote! (sweet potato, piloncillo, citrus, canela, butter) and the Charro Fries (hand cut, with jalapeño sea salt and black pepper). 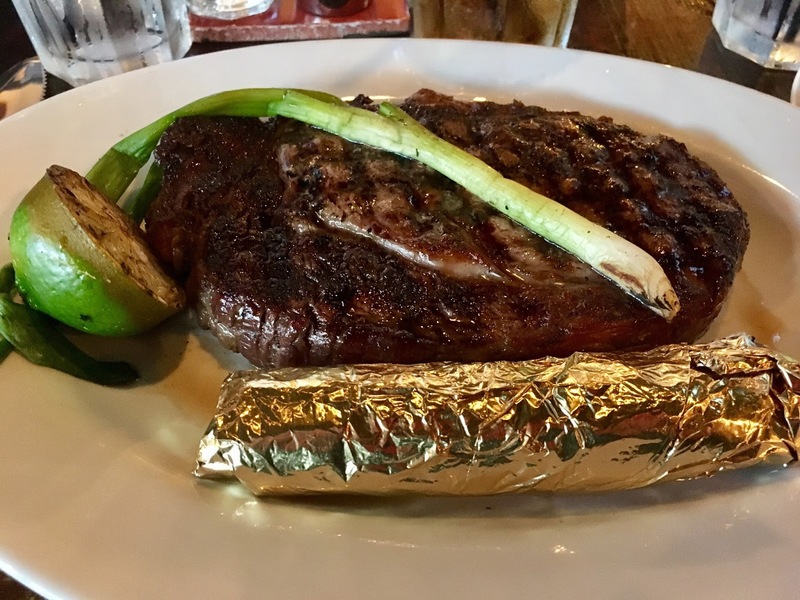 The steaks are mesquite fired and served with a grilled green onion, grilled half lime, frijoles charros, and your choice of corn or flour tortillas. My mother and Ed were not impressed with their steaks. Ed's was super thin and on the small side for a T-bone, and my mother's was a bit overdone, which may be due to the fact that a skirt steak is thin, to begin with, and she ordered it medium-well. My ribeye, on the other hand, was juicy and delicious. 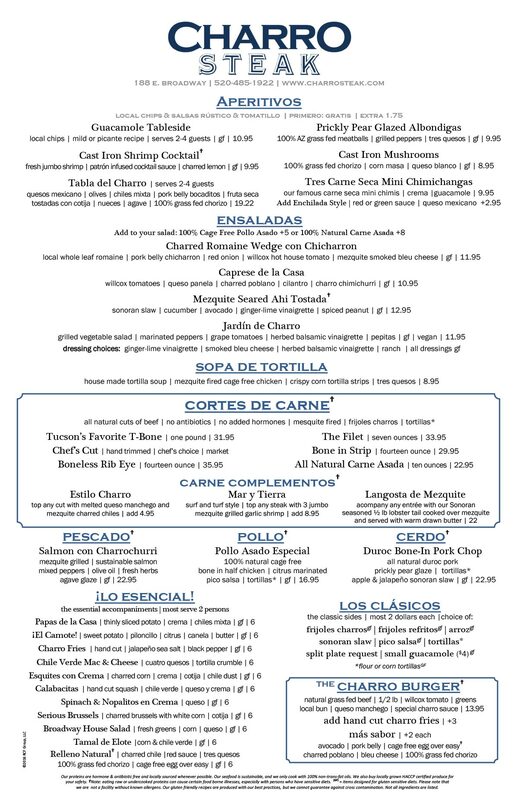 When I first saw the menu I was excited to try it out. 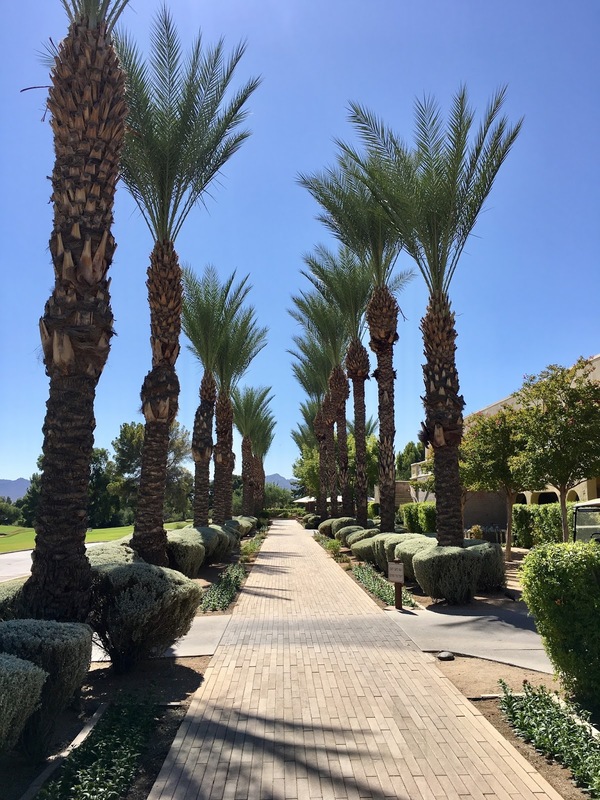 It was one of the locations I was considering to host my family and friends who would be in town for our wedding, but now that I've been there I can say that I'm not interested in going back. 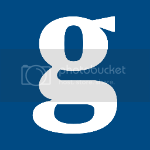 Nice place, appealing atmosphere, adequate food, but a little pricey for what they offered. Just not phenomenal. 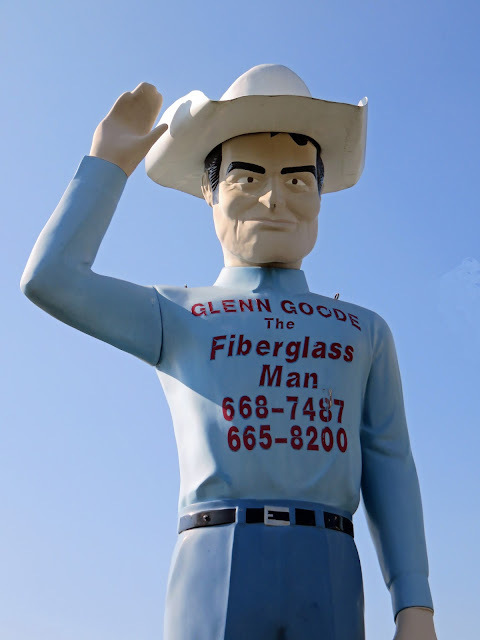 We all agreed that it just wasn't good enough for a second visit. One down, many more to go. Ed and I are on a mission to try lots of new places in Tucson. Hopefully, we'll eventually hit on something that knocks our socks off. My mother went a little crazy and sent me four cards for my birthday this year. Mailed them from her house, which is a mile away. This is one of them. If you haven't figured it out yet, I turn fifty today. Fifty! That's half a century. Half a century. I can't believe it. Where did the time go? Last night my friend (who is 45) said her son thought I was younger than her. That was good to hear. But I'm still 50. 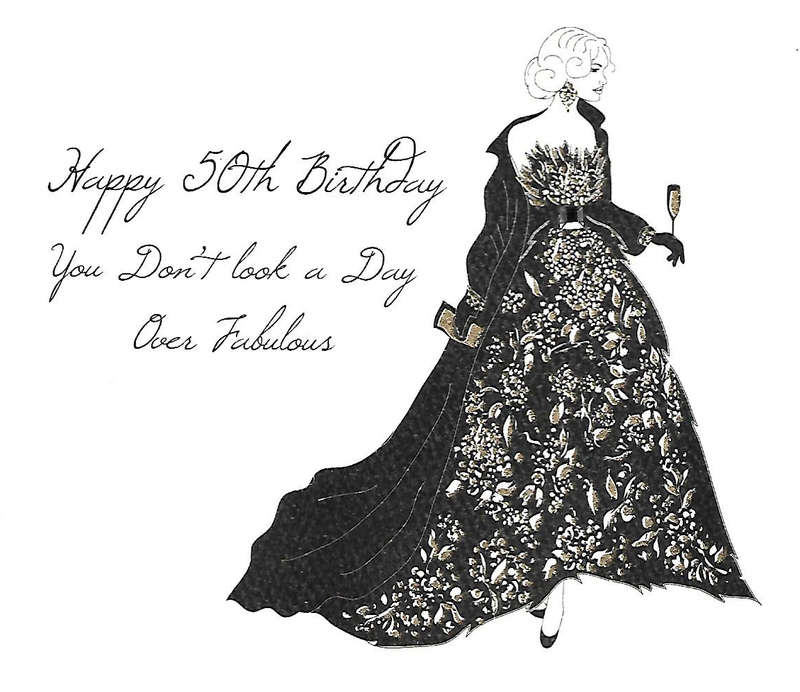 I planned on writing something fabulous for my 50th birthday post, but I have been procrastinating on everything lately and haven't had a time to pull my thoughts together. I'll get around to it. But today I'm just going to relish in my fabulousness. My fiftiness. The New Mexico state flower, the yucca. 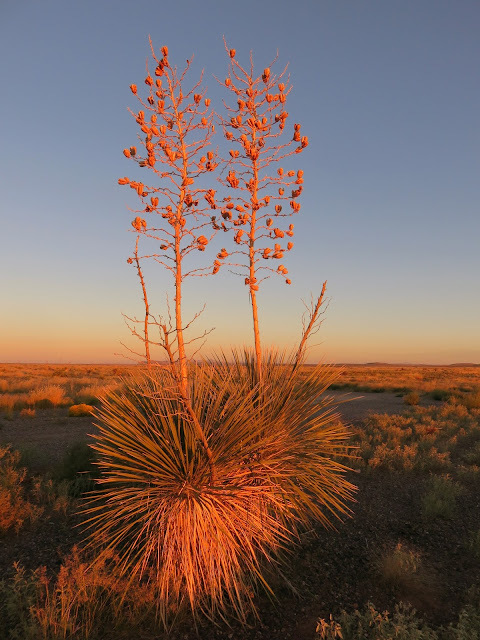 According to this site, "Under the desert’s bright moonlight, visitors can see why New Mexico’s state flower is sometimes called “lamparas de dios” or “lamps of the Lord.” Their bright, upwardly reaching flowers seem to point heavenward and illuminate the nighttime desert." The one is this picture has dried out, but is still a remarkable sight in the glow of the morning sunrise. 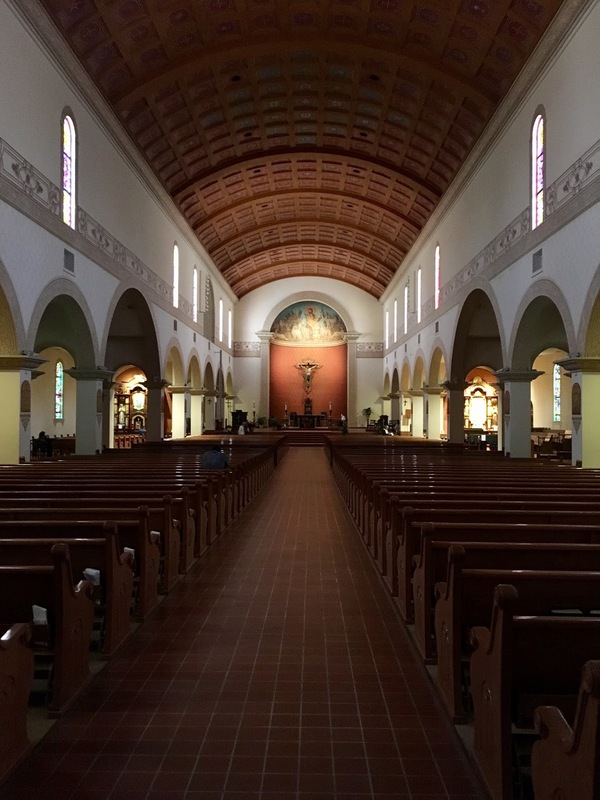 Ed and I visited The Cathedral of Saint Augustine this weekend, considering it as a possible spot for our wedding ceremony. It's the mother church of the Roman Catholic Diocese of Tucson. The good news is, the place didn't burst into flames when I walked in. What I think the bad news is, is that there's a big rigmarole involved if you want to get married here, since it's a Catholic church. Since we're considering doing this fairly soon, we just don't have time for all of that. Hell, I don't even have time to learn how to do a proper Rosary. They recommend you get started with marriage preparation six to nine months prior to the wedding, which isn't going to work. That's find with me because I really don't have any interest in participating in classes and programs anyway. Oh, and they even have guidelines for cohabiting couples. That would include us two sinners. "The cathedral parish's history began with the founding of the chapel of the Royal Presidio of San Agustin in Tucson, which was constructed in 1776. By the 1850s, both the presidio and its chapel had fallen out of use, so Father Joseph Machebeuf was sent to survey the condition of the area in the 1860s. He advised the Bishop of Santa Fe that a priest should be assigned to the location, which had a population of 600 people. 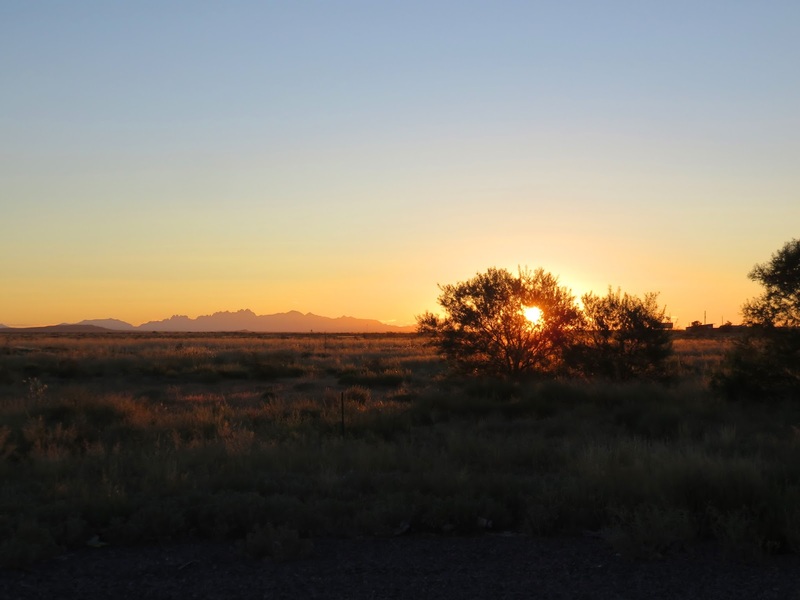 In 1862 or 1863, Father Donato Rogieri arrived from Santa Fe, New Mexico to the small village of Tucson. At the time, it consisted of little more than sun-baked adobe homes near the Santa Cruz River, with no house of worship. After services were over, Father Donato and his parishioners would go to the Solano Leon place (where the Manning House is now at) and pick up adobe bricks and carry them back to the site of the church and one brick placed on top of another was how the walls were constructed. Father Jean B. Salpointe was appointed as pastor of the new church in 1866. Work on the structure—commonly referred to as a cathedral, even then—was completed by 1868. The Holy See declared the territory of Arizona an apostolic vicariate later that year, and Salpointe was appointed Vicar Apostolic. The church was rebuilt by Bishop Peter Bourgade in 1897; the original plans called for a Gothic structure, but the spires were never completed. It was only in 1928 that the brick structure was transformed into its present Mexican baroque form, including the cast stone façade, which was inspired by the Cathedral of Querétaro, Mexico. A restoration project, which entirely demolished and rebuilt the cathedral with the exception of its façade and towers, coincided with the centenary anniversary of the completion of the original church. It was initiated in 1966 and completed in 1968. The cathedral features an elaborate cast stone façade with the coat of arms of Pope Pius XI, who was the pope at the time of the building's construction. 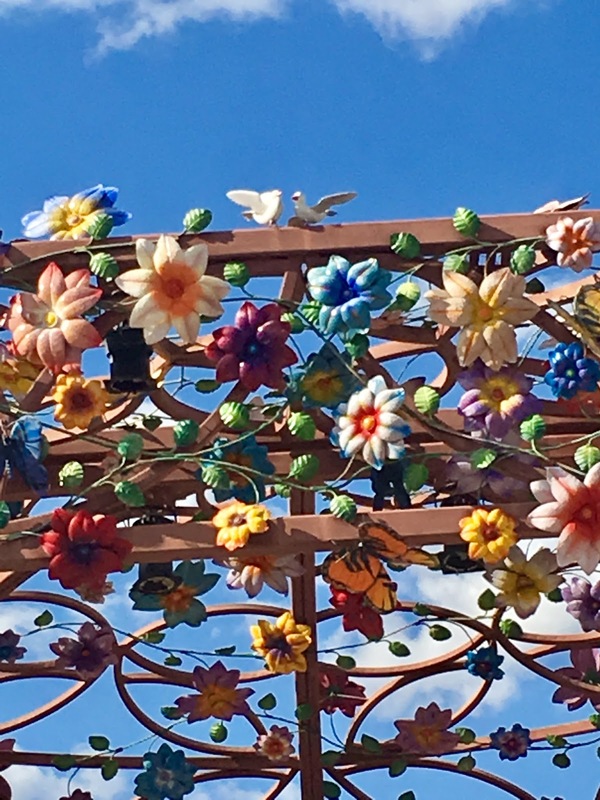 Various indigenous desert plants are featured in the stone designs, such as yucca and saguaro blossoms, as well as a representation of the Mission San Xavier del Bac. A large 12th- or 13th-century crucifix hanging inside the cathedral's vestibule was carved at Pamplona, Spain. The cathedral's floor is set on a slight grade, so that the main altar is clearly in view of the entire congregation. The seating can accommodate up to 1,250 people. The pipe organ was designed and built by David McDowell in Tucson and has thirty-eight ranks." The church is quite impressive, beautiful inside and out, but I think it's a bit much for me. I'm thinking of going with a backyard thing or a nearby botanical garden setting. That detail is yet to be determined. 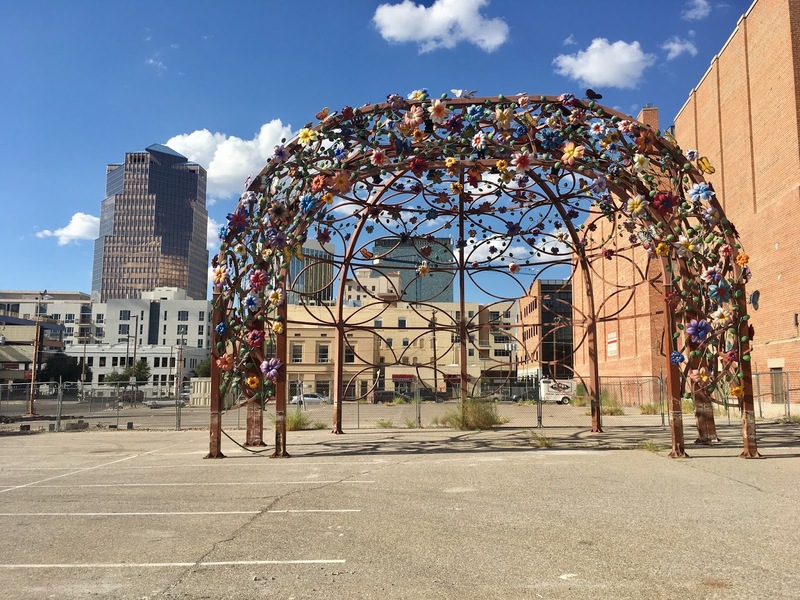 This flower arbor sculpture is located in downtown Tucson. I've always loved it, although have never known what its purpose is. I can't seem to find any information online about it. It normally sits on the corner of the lot where the St. Augustine Cathedral is, but it seems they've relocated it temporarily due to some construction. We were downtown recently and I saw it sitting in an empty parking lot across from the church and snapped these pictures. This would be a perfect arbor for a wedding...if it weren't in a parking lot. If I find any information on the artist, I'll come back and update this post. One of the murals created as part of the Mural Program for the City of Tucson, located downtown on Arizona Avenue. There are a few more photos here of this particular mural. "The Fox Tucson Theatre opened on April 11, 1930, as a dual vaudeville/movie house. 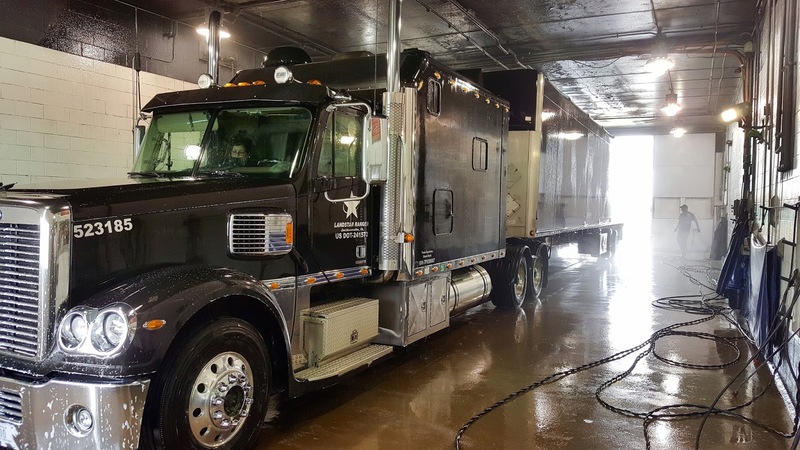 The Fox featured a stage, full fly-loft, and dressing rooms beneath the stage. The combined effects of “talkies” and the Depression limited the opportunities for live performance, and the dressing rooms were never completed. Opening night, April 11, 1930, proved to be the biggest party the small community of Tucson had ever seen. With Congress Street closed and waxed for dancing, four live bands, a live radio broadcast and free trolley rides downtown, the party was one not to be missed. So began Fox’s 40-year reign as the “crown jewel” of downtown Tucson’s entertainment world. 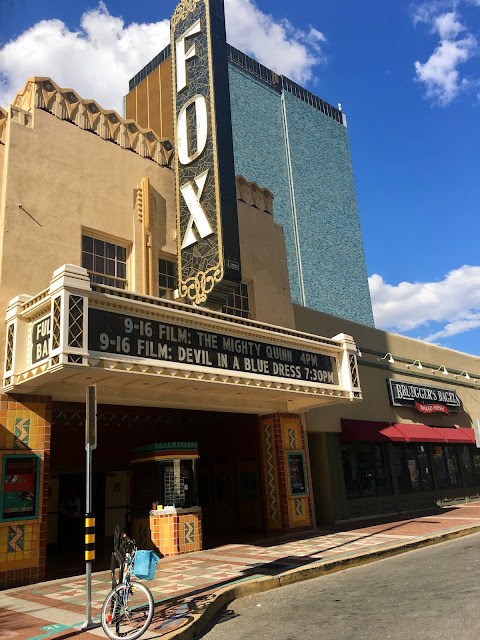 Originally, the Fox served as Tucson’s Movie Palace, presenting films on the big screen in addition to community events, vaudeville performances and the Tucson Chapter of the Mickey Mouse Club. Competition for new theaters and the decline of downtown shopping led to the Fox closing in 1974. After sitting empty for 25 years, the theater was nearly beyond restoration. Extensive water damage, vandalism, and neglect had conspired to keep the building dark. The owners, who had decided to let the building slowly decay, had little interest in selling the property to anyone. 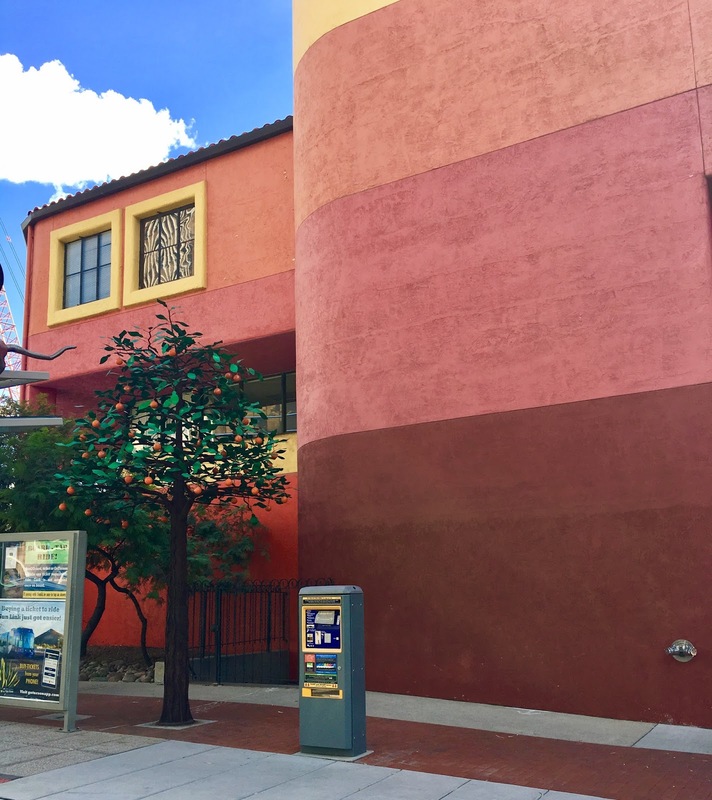 Following a two-year negotiation, the non-profit Fox Tucson Theatre Foundation was able to purchase the building in 1999 for $250,000. Stabilization and planning for the rehabilitation/restoration began at once with a new roof being installed to stop further damage from the elements. Small restoration projects such as the repair and relighting of the original chandeliers kept the community engaged—through bi-annual open houses and special event fund-raisers. Following a six-year, $14 million rehabilitation the theatre reopened on New Year’s Eve 2006 (12/3/05). The building is listed as on the National Register of Historic Places due to its unique “Southwestern Art Deco” decor as well as it world class acoustics. The impact of the reopened of the Fox Tucson Theatre on downtown, the larger community of Tucson, and on Southern Arizona as a whole, has been profound. In 2013, the Fox hosted over 150 events and saw over 70,000 patrons through its door. The 1164 seat audience capacity is big enough to attract national and international talent, yet small enough to boast an intimate entertainment experience. Once again the Fox is a premier performance venue, a classic film buff’s dream (showing classic 35mm films on the big screen “the way they were meant to be seen”), and a multi-purpose, elegant rental facility for corporate, non-profit and private events." I've never been to the theater for a show, but they host quite a lineup of performances. I'm putting Dianne Schuur (who I've loved for years!) and The Mingus Dynasty on my list of must-sees. Here's the latest calendar of events. We had lunch at Monkey Burger yesterday. I had high hopes after seeing the menu but wound up disappointed. Ed had The Monkey (bacon, smoked cheddar and swiss cheese, roasted poblano peppers, sauteed mushrooms, romaine lettuce, tomato, caramelized and raw onions) and I had the South Shore (five spice patty, pepper jack cheese, shredded lettuce, pineapple relish, ginger BBQ glaze - on the side). The menu choices sounded really delicious. They had a lot of interesting combinations. 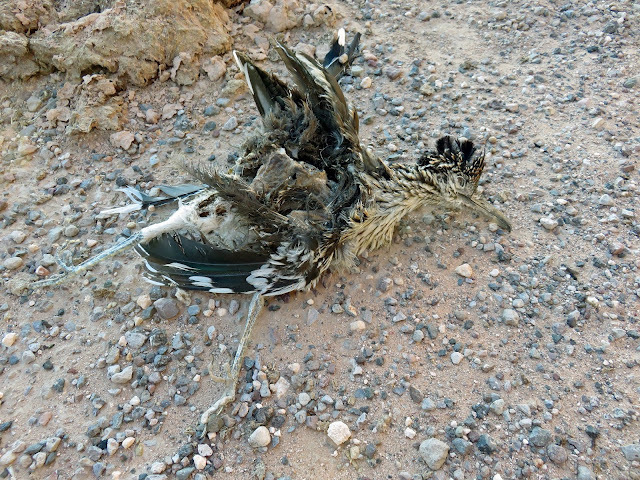 But what killed it was the burger. It was a commercial product, pressed into a flower-shaped patty. Not hand formed, not smashed, not open range-raised, not hormone and anti-biotic free. It was a meat patty from a commercial food distributor and the texture and flavor ruined what could have been a good burger. Monkey Burger. Probably not a good restaurant name given the inferior meat used. Perhaps that's what monkey meat tastes like. Ewwww. This is not a restaurant I will go back to. Today I took the test to get a permit to drive a motorcycle. I know. What the hell was I thinking?? I think I did it mostly to get Ed to stop bugging me. "Are you ready for the test? Have you studied for the test? Are you taking the test this week? When are you going for the test?" He's been asking these questions for weeks. He told me, "It's hard." OK, whatever. I ace every test I take, even if I have no idea what the hell I'm doing. Hell, I got a CDL eleven years ago, didn't I? And really, how hard can a motorcycle test be? I've been using an app to take practice tests. There really is a lot of stuff to know when operating a motorcycle. Things one doesn't even think about when driving a car. And you know what I realized while taking the practice test for the motorcycle? I realized they expect you, the motorcycle rider, to be responsible to get out of the way of every other idiot on the road. Because no one is going to see you, notice you, pay attention to you, or give you any consideration at all. You're steering a death machine through traffic. You may as well be playing hopscotch in a minefield. Yet there I was taking a test to ride a death machine that renders me invisible to the general public. I finished the test in 10 minutes 13 seconds. 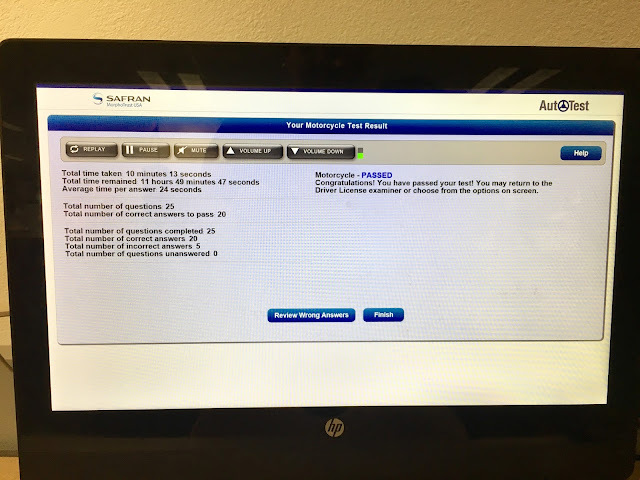 There were 25 questions and you had to get 20 correct answers to pass the test, meaning you were allowed only five wrong answers. I got five wrong answers, just skating by. Which is affected first when drinking alcohol? What?? First of all, I don't drink, so I have no idea which of these faculties would go first. I've heard people slur when drinking. I've seen people stumble when drinking. I think if you're driving, your vision is probably not the greatest, although that doesn't really make sense. And I know drinking affects your judgement. My thinking on this was that if you had good judgement you probably wouldn't drink in excess so your speech, balance, and vision wouldn't be affected. I don't know if that was the right answer though because they don't show you which questions you missed on the test. So, $7.00 later I was in possession of a permit to drive a motorcycle. But there was one more thing. The lady handed me the permit stating it had some restrictions, which she highlighted in yellow. The permit read, "This permit is valid except 1) On a controlled-access highway, 2) On any public highway from sunset to sunrise, or 3) When visibility is less than 500 feet." Well, 2 and 3 I understood, but I didn't know what they meant by "controlled-access highway"? So I asked her, "What is a controlled-access highway?" She said, "Umm, I don't know." I said, "How do you not know that? You work here." "Well, I assume it means a highway. I'm really not sure." I hate this kind of answer. Why would you give any answer if you don't know what the hell the answer is? You WORK HERE. If anyone should know, she should. I've been driving since I'm fifteen-and-a-half years old and I've held a commercial drivers license since 2006 and I've never heard the term "controlled-access highway". I assumed it was an interstate, but this is Arizona and they're a little backwards here, so for all I know it could mean roads with traffic lights - controlling access. She said, "I could find out." I said, as sweetly as humanly possible because I wanted to reach across the counter and poke her in the throat, "Would you mind? I'm good on the two restrictions, but I just want to clarify the first one." I overheard her talking on the phone. It sounded like whoever she was calling had no idea either. What the hell? This is the motor vehicle department. The people issuing the permit with restrictions. How does no one know?? Just as she gave me an answer - reading from her computer screen something that sounded like a definition - Ed showed up at the counter to get me. I was going to have to leave it there. So, I am now permitted to ride The Eliminator everywhere except on controlled access highways. We've hauled bees, killed bees, and laughed at bee cartoons. Bees have been in peril. 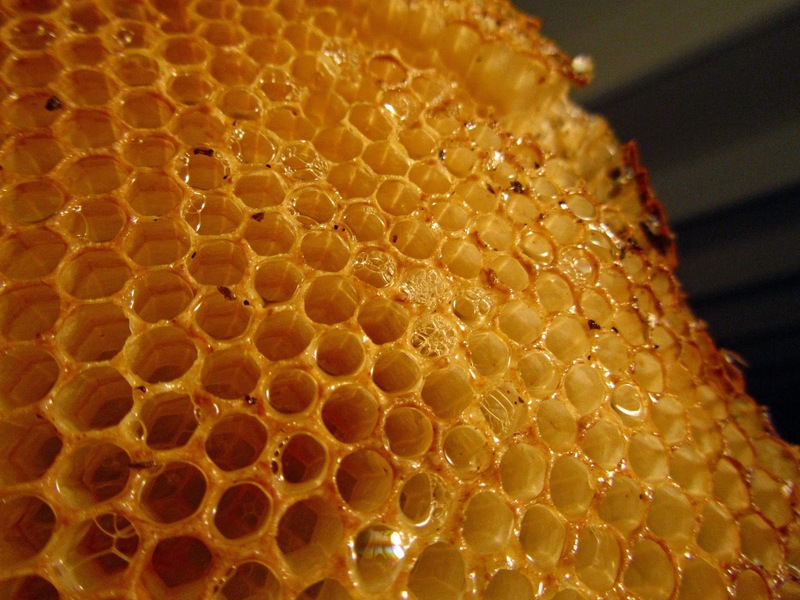 Google "bees disappearing at alarming rates" and you'll get plenty to read. I'm certain someone will blame Obama for their demise. I've heard they're making a comeback. As long as they don't do it far away from me, I'm cool. I don't like flying things near my head, especially if they sting. I'm posting this picture of a honeycomb from one of the hives in our backyard. I'm happy to say we're no longer battling bees. Ed is now hunting packrats. They're our latest desert-dwelling pest. At least they don't sting. Abandoned house in New Mexico.